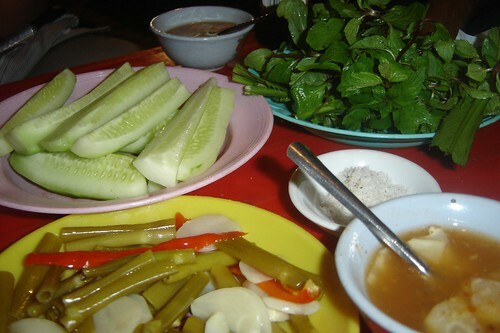 In Vietnam, we eat almost every part of the animal. Chicken is no exception, with the organs a regular part of pho ga at many establishments. 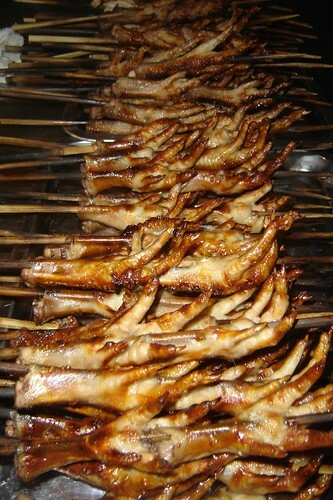 In the Old Quarter's Ngo Gach St, there are several restaurants specialising in barbeque chicken, wings and feet. The place at 21 Ngo Gach, which is a coca-cola outlet by day, is called Tuan - Duc and is a place that my friends and I have been eating at for 10 years. 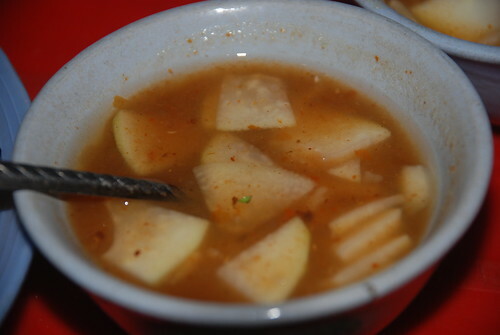 The difference between this place and other similar places in town, the popular ones in Le Truc, too, is that they serve seasonal side dishes like young mango pickle, young morning glory pickle and jicama. 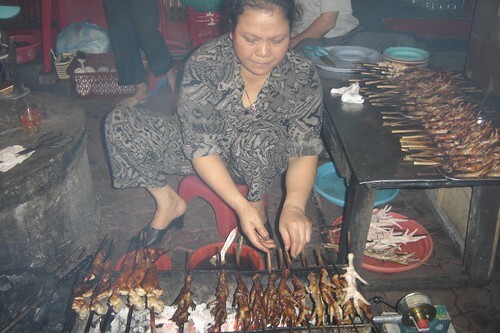 Most of these kinds of chicken vendors in Hanoi marinate their chicken in a mixture containing honey. Here it is the same, though the unique fruity dipping sauce of chilli and cumquat also sets them apart. The owner is a funny old skinny man whose his son is a younger version of the same. The wife is a bit of a grumpy control freak and usually shouts orders at the young team of helpers. There is always a funny thing to see or a story to hear at this shop. The chickens are sourced from a farmer in the countryside not far from Hanoi, and the owner tells us the chickens are "happy chickens", which I think means that they are free range. But back to the parts of the bird. When I go with my Vietnamese friends to this place, we love to eat the chicken feet as well as the wings but my western friends are more keen on the wings because they have more meat compared to the feet which only have skin. 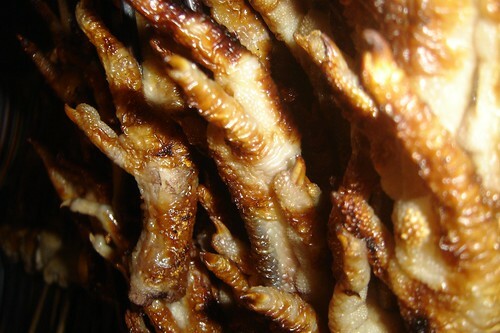 In Vietnam eating culture, when we drink beer we love to chew on something and chicken feet are a popular choice.